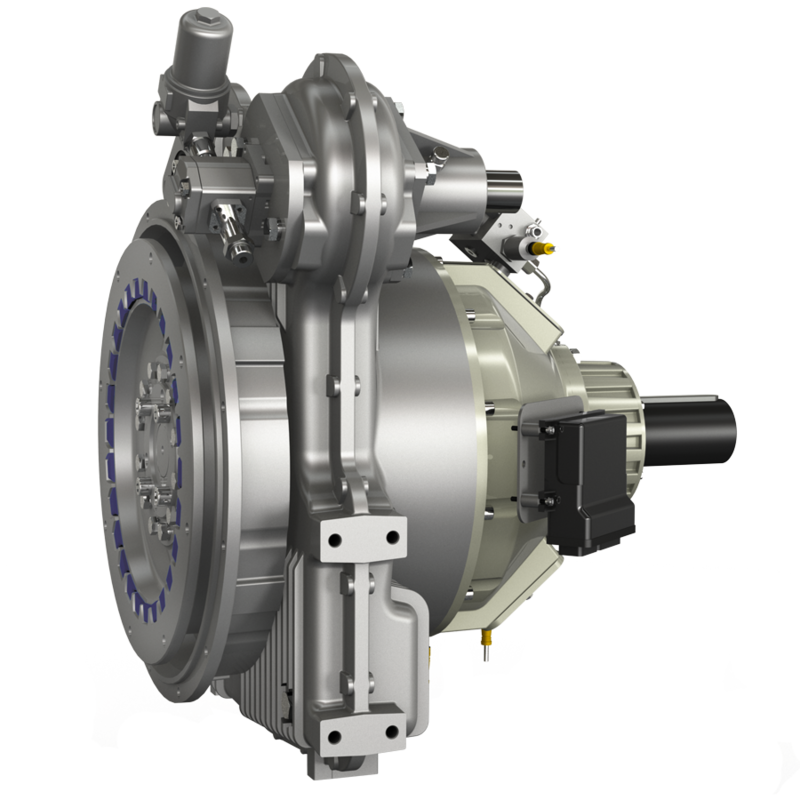 As natural development to TRANSFLUID’s power transmission product range, the TowerClutch fulfills a growing market demand for a disconnectable, compact dry clutch with high capacity hydraulic pump pads. With the ability to easily drive multiple implements, leading manufacturers of mobile machinery have been finding applications for its use in rock crushers, wood chippers, drill rigs, waste grinders, road mills, reclaimers and marine propulsion. 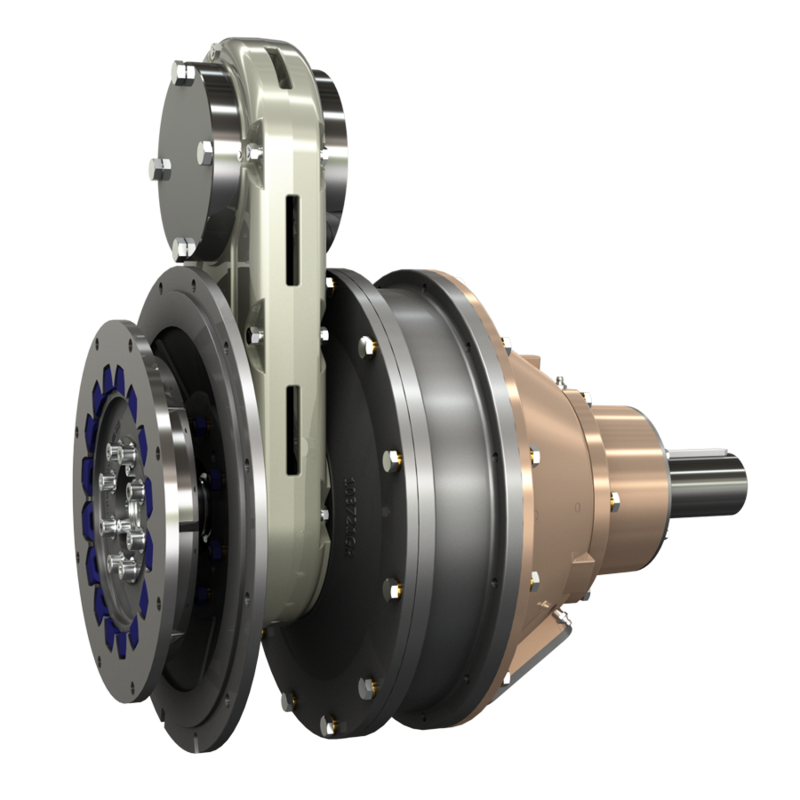 Assembled with time tested and proven heavy-duty production products and components the TowerClutch provides unsurpassed performances and reliability. 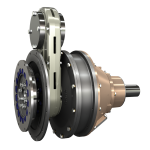 The oil/air actuated dry clutch (HF series) is flanged to the engine through an innovative splitter box (Stelladrive series) which mounts to standard SAE engine flywheel and housing connections. Is remotely operated and uses oil or air pressure for engagement. The robust splitter box eliminates flywheel side loads and torsional vibrations associated with modern high torque industrial engines. 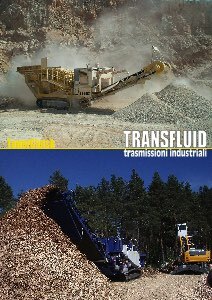 Heads accept a variety of unique accessories such as pumps, pulleys, stub shaft PTOs, cardan shafts, pump clutches and electric motor/generators. The MPCB controller is a dedicated printed circuit board entirely developed by Transfluid, to monitor and control all functions of Transfluid’s dry clutches, such as input and output speed, oil temperature and oil pressure. 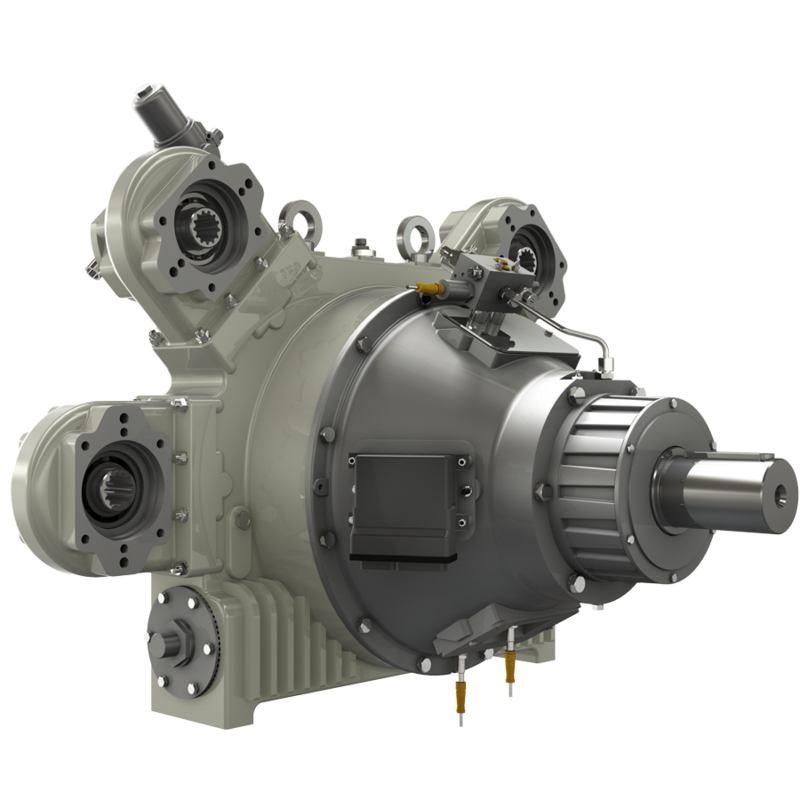 Our controller allows the soft engagement of the driven machine preventing nclutch overload and engine stalling; therefore HF clutch and TowerClutch transmission are fully protected by unexpected failure due to misuse or abuse of the product. 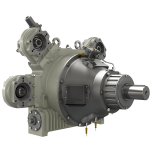 The MPCB has been designed to continuously operate in heavy duty conditions; the most common applications are crushers, wood chippers, road milling machines, metal shredders, compressors and volumetric pumps. The proprietary software is personalized according to the specific application and a separate Display can be integrated for a better view of all above mentioned parameters. The MPCB can be linked to the the engine control box via CAN BUS SAE J1939 protocol (or CAN BUS Open), consequently warning, alarm messages and any clutch status are transmitted via a single IP67 bus cable. The MPCB enclosure is installed and wired on board the clutch through rubber mountings to dampen vibrations and shorten electric harnesses length.